At Gift Fairy, we look forward to planning themed brunches for any reason, in any season. 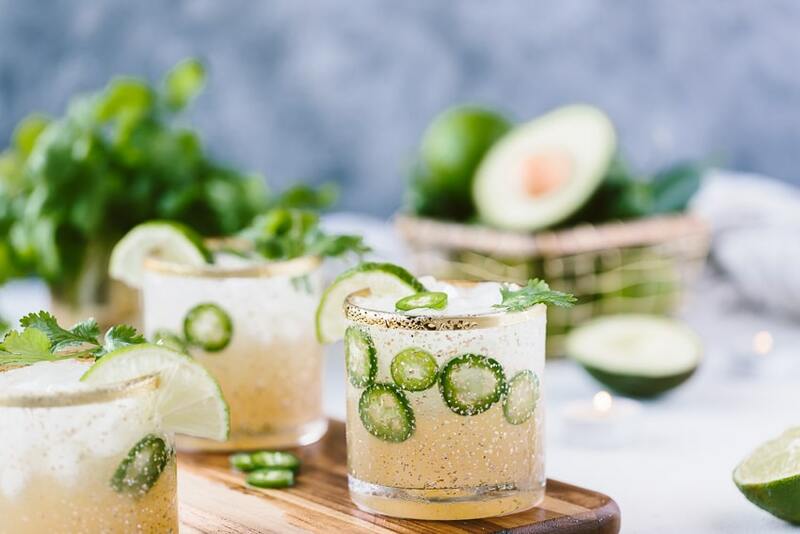 Currently we’re looking forward to Cinco de Mayo falling on a Saturday, and the wonderful excuse to grab our closest pals for some memory-making over margaritas. 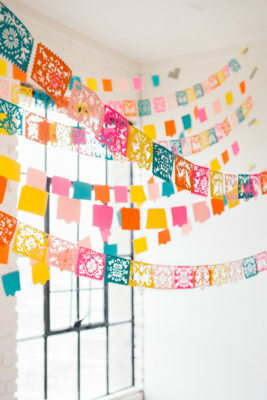 Are you planning to do the same and stumped on how to make this year’s fiesta a little more magical than years past? 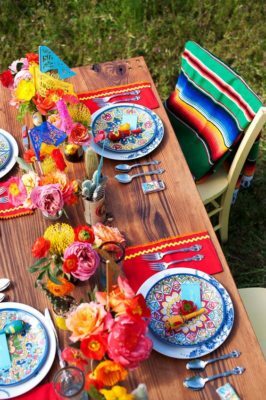 Looooook no further: we’re gonna break down the basics and give you our special touches to plan the perfect Cinco de Mayo brunch for your babes. Meal prep leading up to the event: cut and store everything during the week; grind your coffee beans; squeeze your orange juice ; beat your eggs! Anything to save you some time! Make a service plan: how will you serve the food? Plated, buffet or family style? 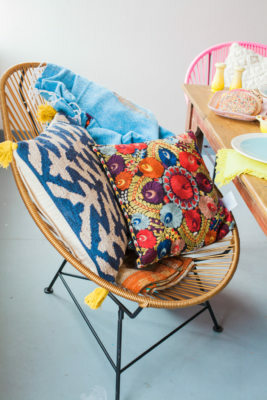 Identify where you’ll be placing the items and make sure you have all the serveware and tools to execute! 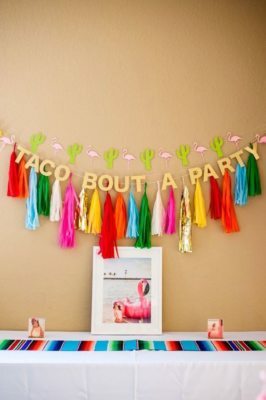 Décor: pro tip? set your table the night before! And make sure to buy your themed accents and arrange your flowers ahead of time. 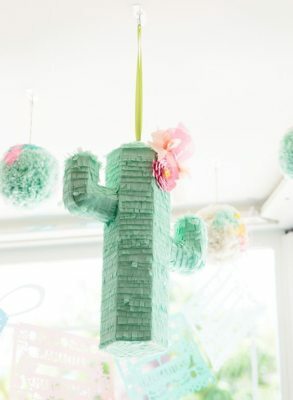 If you’re looking for some inspiration on what to make for your guests, here are some of our recommendations. Everything on this list can be made and kept in the oven at 200 degrees until showtime, so there’s no need to be cooking right up until it’s time to eat in order to have a warm meal. Is brunch really brunch if you don’t have an egg dish? 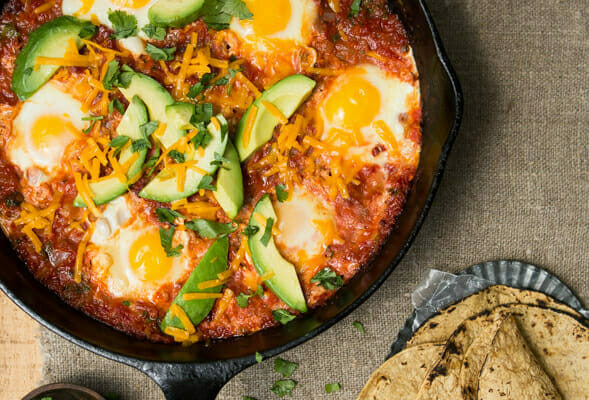 Check out this yummy recipe to make huevos rancheros for a large group. You can also make this with more meat, no meat, or egg substitutes, depending on your group’s (and your) preferences. 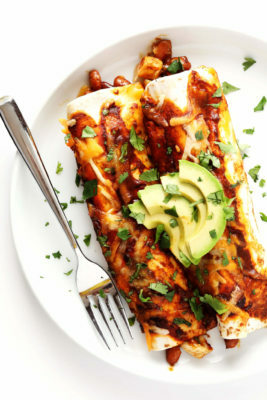 Enchiladas are super easy to prepare ahead of time, keep in the fridge and pop in the morning of the event. You can even keep an extra batch ready in case the group is feeling in the mood for seconds (and they freeze well, if you want to keep on hand for dinner another week). Recipe here. We all have friends that crave that sweet bite during brunch. 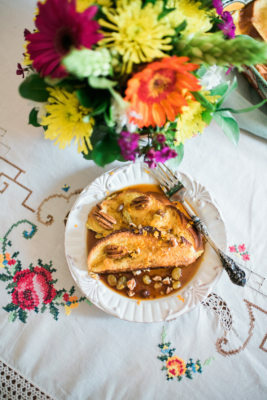 This french toast has all the flavors needed to complement your other dishes, and keep on theme. 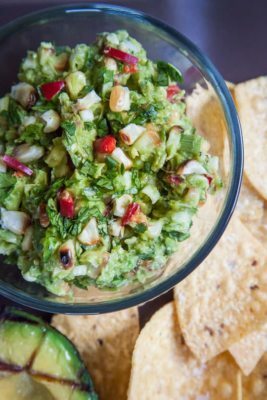 Guacamole is a must have for any Cinco de Mayo gathering. It makes a great appetizer or paring to your main dishes, and brings so much flavor and deliciousness to any get together. Recipe for this spicy guac here. 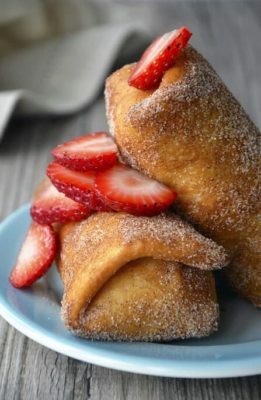 I know you might be thinking that dessert isn’t necessary when you have a sweet dish on the menu, but these cheesecake chimichangas are so easy to put together, and so delicious, that we just may change your mind. 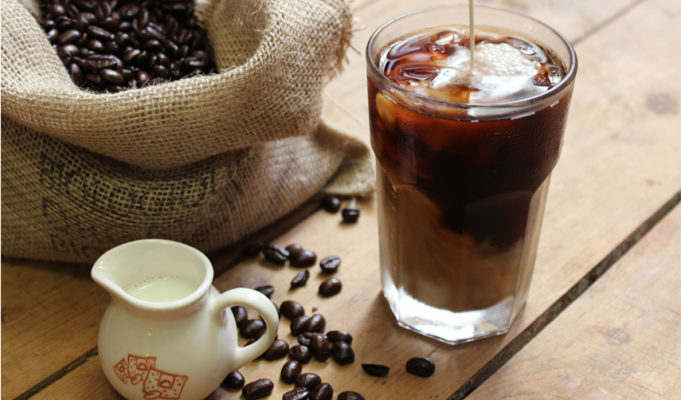 Breakfast’s most natural companion: freshly brewed coffee and tea. Brunch is a meal of many beverages a cup of coffee pairs great even if your guests have a mimosa or margarita in the other hand! Speaking of mimosa! Another staple brunch beverage is a citrus-based juice (generally orange juice) with champagne. 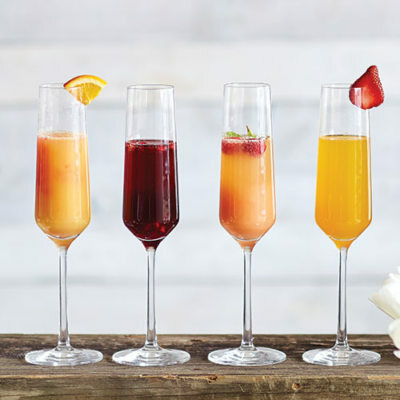 If you want to really switch things up, consider a mimosa bar for your guests with different juices to pair the mimosa with. 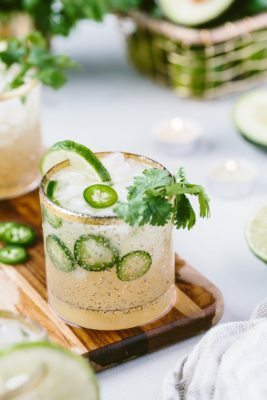 These cilantro infused spicy jalapeno margaritas are so refreshing and delicious. Highly recommend! 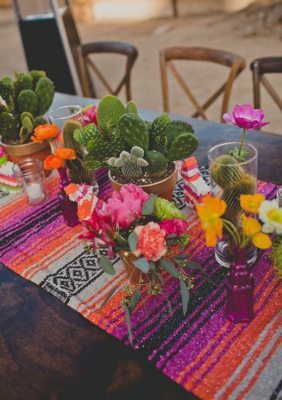 Think: bright colors, cacti, and rustic ambiance. A warm, welcoming and charm-filled table for your guests to enjoy! Always fun to have an area setup for cute photos. Here are some ideas! 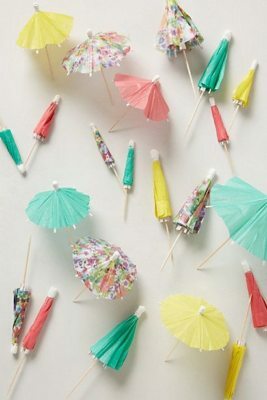 Drink umbrellas, pinatas and flowers to round out the atmosphere! 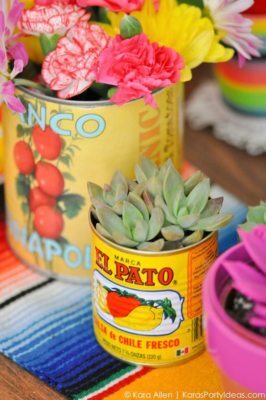 Are you planning Cinco de Mayo brunch this year? What are you most looking forward to? Let us know in the comments!